Russia’s oil producers may take longer than expected to achieve the production cuts the country agreed to under the Opec+ deal. The nation “is fully complying with obligations in line with earlier announced plans to gradually cut output by May,” the Energy Ministry said on Monday in a statement, citing its head Alexander Novak. Earlier, ministry officials including Novak said on several occasions that Russia aims to curb its oil production by 228,000 barrels a day from the October baseline within the first quarter and to keep volumes capped in the second. The Energy Ministry has not responded to a request for comment on reasons for extending the production cuts timeframe until May. Russia’s compliance with the pact between the Organization of Petroleum Exporting Countries and its allies is crucial to the success of the entire agreement. In December, when the details of the deal were being agreed in Vienna, Novak was instrumental in smoothing out differences between the group of producing countries and securing agreement. 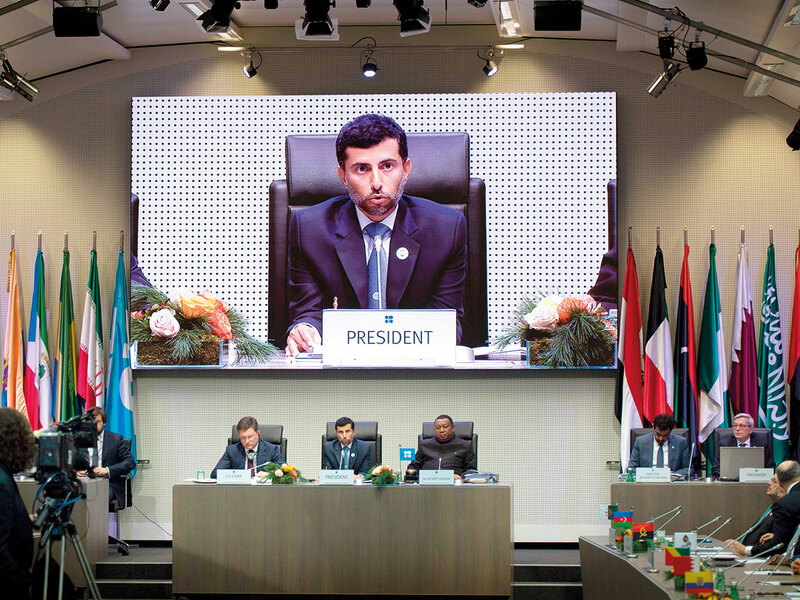 So far, Russia has lagged behind its Opec partners. Last month, Saudi Arabia — which made the largest output reductions of the group — criticised the pace of Russian cuts. Saudi Arabia expects to reduce oil output once again in February and pump for six months at levels “well below” the production limit it accepted under Opec’s oil-cuts accord, Energy Minister Khalid Al Falih said. In January, Russia produced 48.11 million tons of crude, or around 11.376 million barrels a day, according to Bloomberg calculations. This is a 42,000 barrel-a-day decline from October. On Monday, Novak said Russia’s output fell by 47,000 barrels a day last month. The difference may be the result of the Energy Ministry applying an individual conversion ratio for each oil field, while Bloomberg uses a unified ratio of 7.33 barrels per tonne. Not all Russian oil majors complied with the cuts agreement last month, preliminary data from the Energy Ministry’s CDU-TEK unit showed. Surgutneftegas PJSC, the country’s third-largest crude producer, increased its daily output by 10,700 barrels last month. Gazprom Neft PJSC made the most significant reductions in January, curbing production by 27,000 barrels a day. Novak has said the production cuts are voluntary for all Russian producers and that they need to be implemented gradually due to the harsh climate and challenging geology in Siberia, the nation’s main oil province.